Originally conceived as two separate songs, Richard Wright (a.k.a.“Nancy”) is not even sure why he appended the repeated “Halley’s Comet” refrain to his earlier song “Goin’ Down” to create the tune we know so well today. It just sounded good to him. Wright grafted the former (a medicine for the ridiculous amount of Halley’s hype rampant in mid-to-late ’85) to the latter (a reaction to the then-hip mass commercialization of Motown in the wake of The Big Chill) and re-recorded the tune as one song. 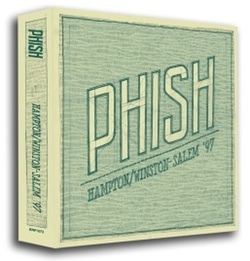 This new version made its way onto a tape (along with “I Didn’t Know”) that fell into the hands of Brian Long, at that time the roommate of three of the members of Phish in the King Street house. The band heard it and liked it, deciding to cover it in their live show. Wright (at the time still known largely as Nancy) began the tradition of guest-singing “Halley’s” on the song’s debut at Goddard SpringFest on 5/17/86. For the next three years, the band would only play the song if Wright was in attendance so that he could handle the vocals. This didn’t hinder the tune’s frequency too much, as Richard was a huge fan at the time and caught the band every chance he could. On 5/26/89 he publicly announced that he would never again sing the tune with Phish. Though he went back on his word on 10/29/89, the band subsequently retired the song for over three years. 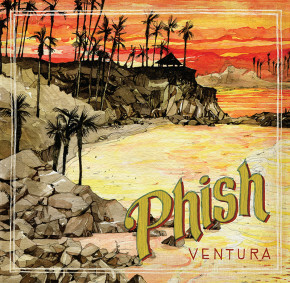 Its reappearance on 3/14/93, an excellent show all-around, marked the beginning of “Halley’s” evolution from a rare, savored gem (through ’94) to an all-out jam vehicle (’95 through '04). 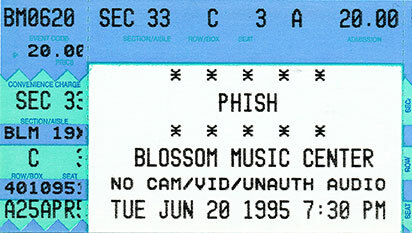 As with many Phish tunes, earlier versions of the song tended to be rather straightforward, especially since the author’s presence in the crowd probably intimidated the band into “getting it right.” Nevertheless, some especially notable versions include 4/29/87 (dedicated to Duke Ellington), 10/29/88 (followed by a strong “Whipping Post”), 10/31/87 (segued nicely in and out), 5/24/88 (with Jah Roy), 8/6/93 (nicely out of “YEM” and into “Slave”), 5/8/94 (boldly out of “YEM”), 11/2/94 (before the “Tweezer” which appears on A Live One), and 6/24/95 (between a nice “2001” and an experimental “Bowie”). Many fans think of 12/14/95 as the catalyst, the version that sent “Halley’s” spiraling into jamming oblivion from which it would emerge a completely different song. Ensuing “Halley’s” not surprisingly always had to live up to the example of this Binghamton version, with its must-be-heard-to-be-believed jam into “NICU” in one of the best sets of fall ’95. Though the band still often kept the reins on “Halley’s” as before, a number of truly inspired renditions have blessed outstanding shows since. 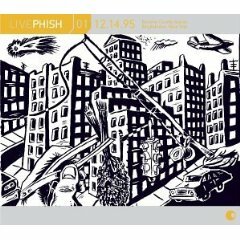 Check out 8/5/96 (into “Somewhere Over the Rainbow”), 8/16/97 (into “Cities”), 11/22/97 (followed an unsuccessful audience attempt to get the band to play "Destiny Unbound," which Trey characterized as a "death chant"), 8/3/98 (into “I Didn’t Know” for a Nancy double header), 11/11/98 (Epic!) and 7/13/99, 12/7/99 (nearly 30 minutes of hose!) for the most obvious examples. 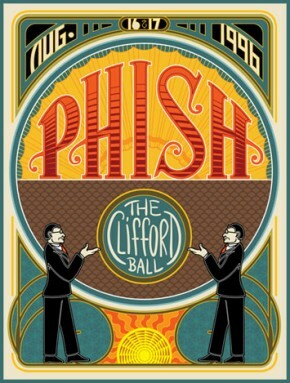 Always a fun, singable, and still somewhat infrequent addition to any setlist, some particularly spirited or notable versions include 11/26/94, 12/1/95, 6/16/95, 4/3/98 (in encore between “Carini” and “Tweezer Reprise”), 8/15/98 (with a few alternate lyrics), 11/24/98 (out of “Ghost”), 9/28/99 (encore segueing into “Tweezer Reprise”), 10/8/99 (into “Tweezer”), 6/30/00 (into “Mango Song”! 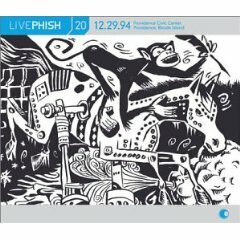 ), 9/18/00 (nice 16-minute second set closer), 9/23/00 (thrilling version flows into “Fee”), 10/5/00 (into “Walk Away”), 2/24/03 (following the B.B. King appearance), and 7/27/03 (with a fantastic segue into “Seven Below”). Halley's has become almost common since the breakup, occurring several times in each tour. Among recent versions, two stand out: the set-opening 6/16/09 version and the first set treat offered up on 5/28/11.